This wireless keylogger is packed with state-of-the-art electronics: two powerful processors, a full TCP/IP stack, a WLAN transceiver, and 8 gigabytes of memory. How does it work? 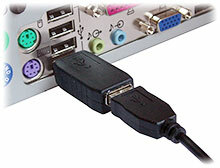 Besides standard PS/2 and USB keylogger functionality, it features remote access over the Internet. This wireless keylogger will connect to a local Wi-Fi Access Point, and send E-mails containing recorded keystroke data. You can also connect to the keylogger at any time over TCP/IP and view the captured log. All this in a device less than 2 inches (5 cm) long! If you're not familiar with the hardware keylogger concept, please take a look at our standard USB keyloggers and PS/2 keyloggers. The KeyGrabber Wi-Fi Premium inherits all that functionality, including Flash Drive mode, Text Menu mode, USB Download Accelerator, configuration options, and national layout support. The main principle is very simple though: just plug the keylogger in-between the keyboard and computer. The KeyGrabber Wi-Fi Premium keylogger also incorporates a built-in WLAN transceiver and TCP/IP stack, meaning it can connect to the Internet through a Wi-Fi Access Point. To do that, you must provide it some basic data, such as the Network ID and password (just like any WLAN device). Once connected to an Access Point, the keylogger will start sending E-mail reports with captured keystroke data to any recipient E-mail address you supply. This means you can keep track of what's happening on the monitored computer from any place throughout the world, just by checking your mailbox! 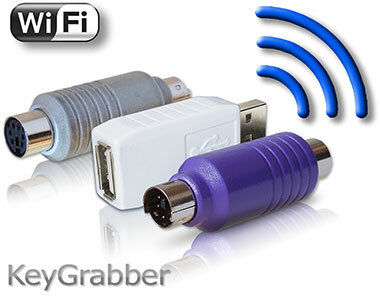 The KeyGrabber Wi-Fi Premium also features a TCP/IP interface, for on-demand access at any time. 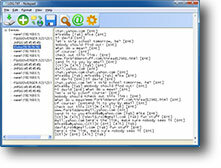 You can remotely download recorded data from the keylogger, using special software delivered with the device. If you want to monitor a USB keyboard (rectangular plug), choose the KeyGrabber Wi-Fi Premium USB. If you want to record a PS/2 keyboard (round plug), pick the Wi-Fi Premium PS/2. Both versions come in several color options: black, gray, white, and purple. If you plan on using the keylogger on a Mac system, the Mac Compatibility Pack (MCP) version is recommended. See Mac Compatibility Pack for details. There is also a size- and price-optimized version of this product available, named the KeyGrabber Nano Wi-Fi. Want to learn more? 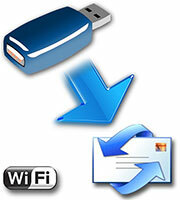 Read the KeyGrabber Wi-Fi Premium User's Guide or simply ask us.